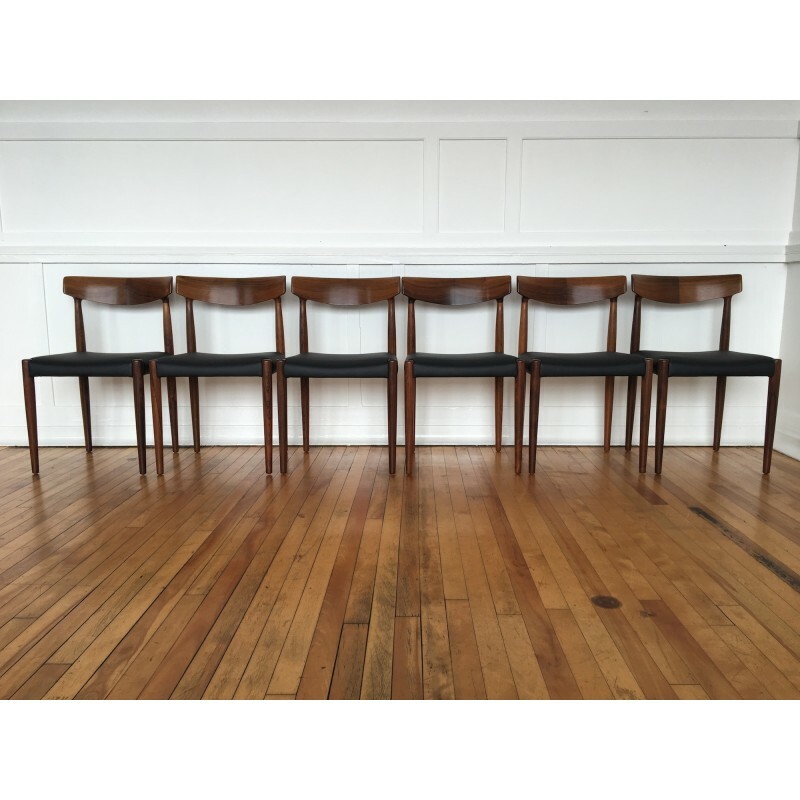 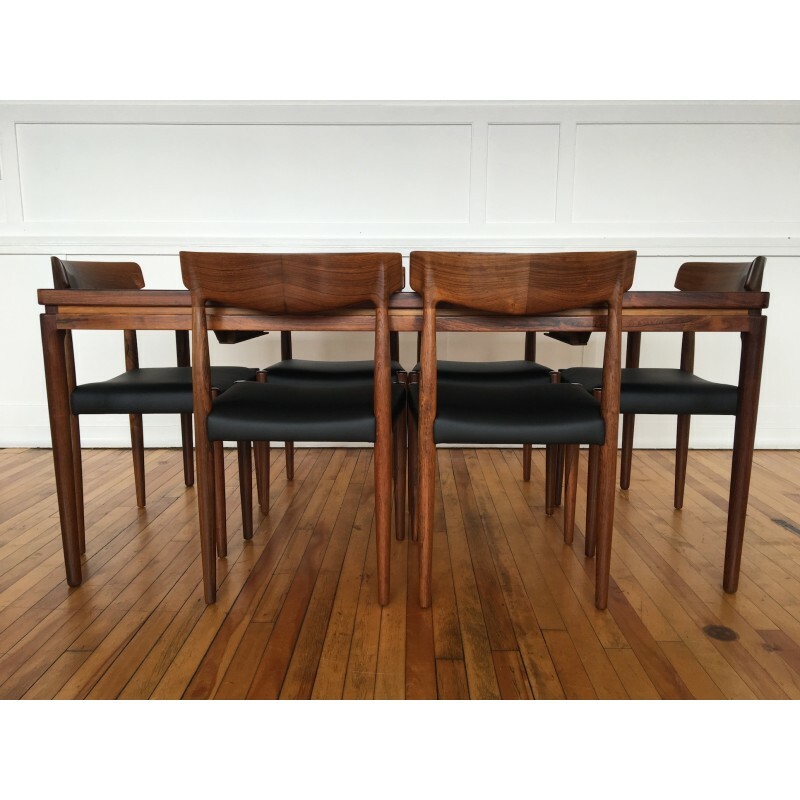 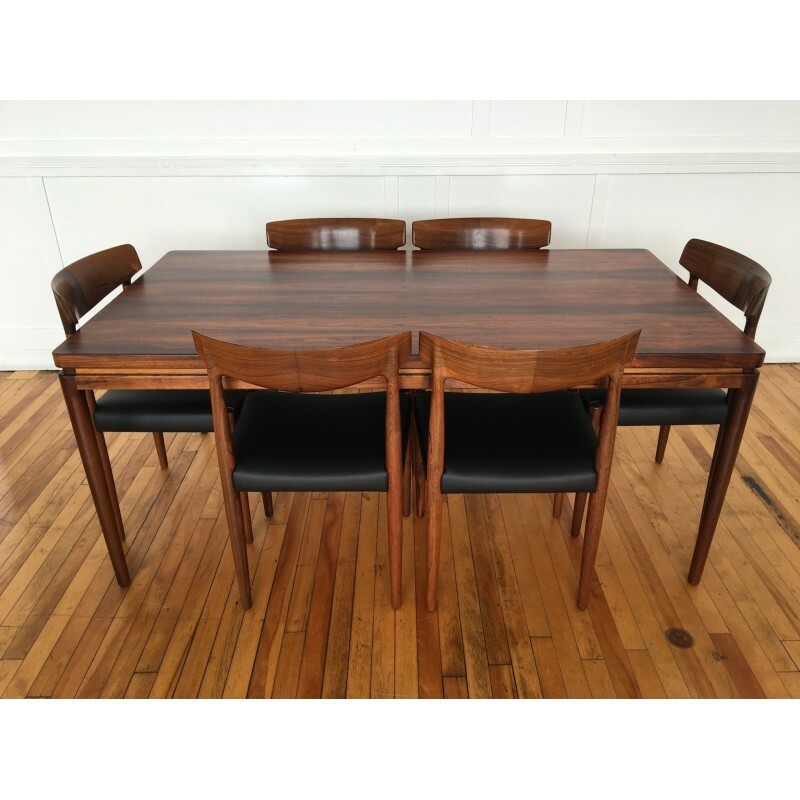 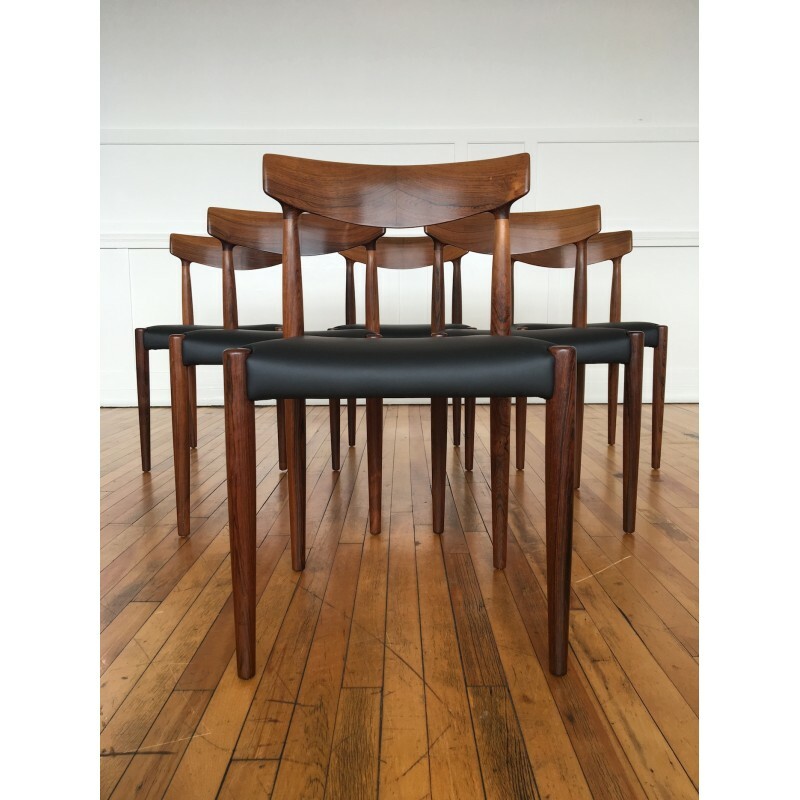 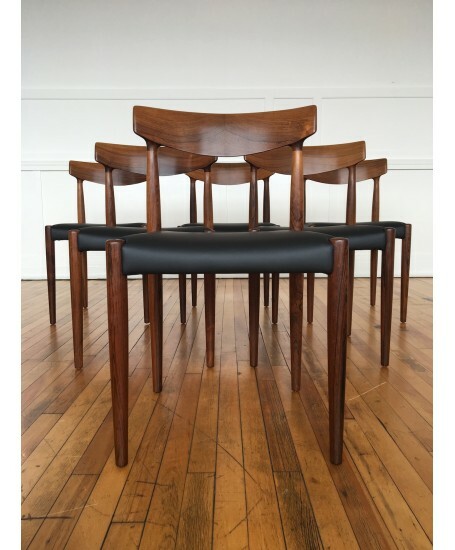 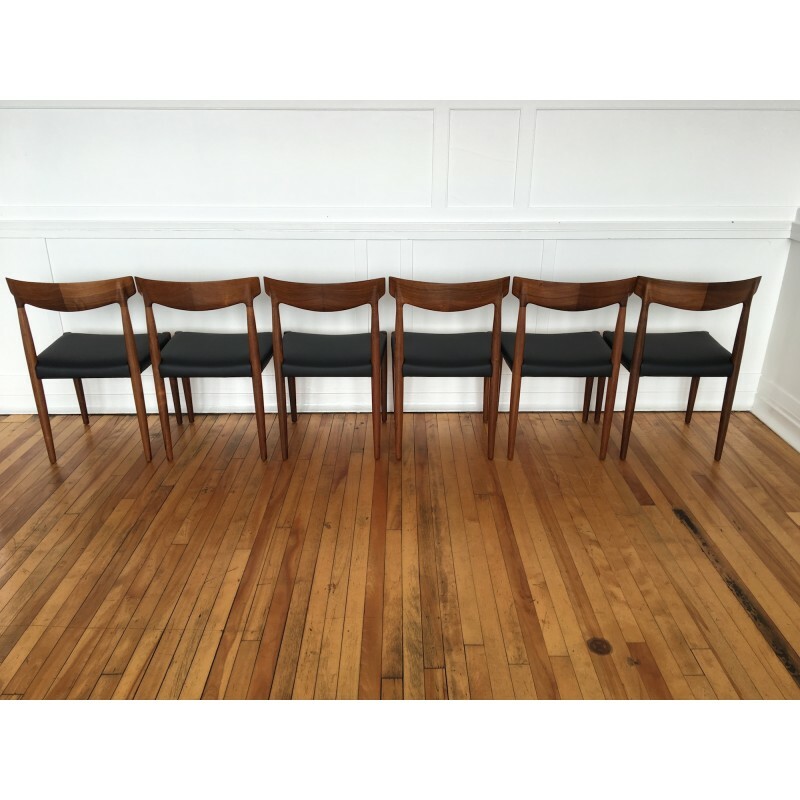 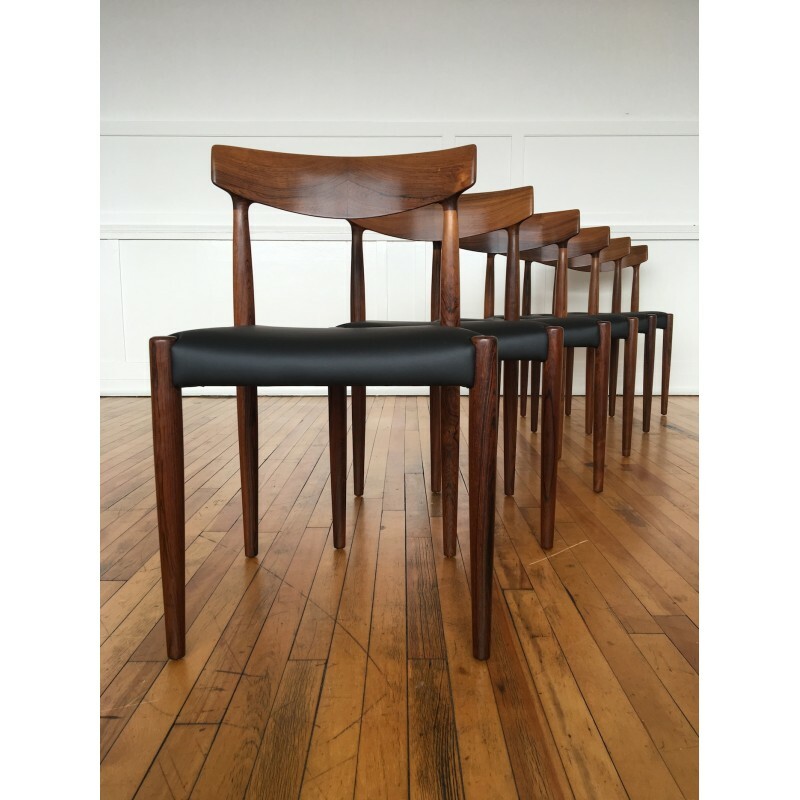 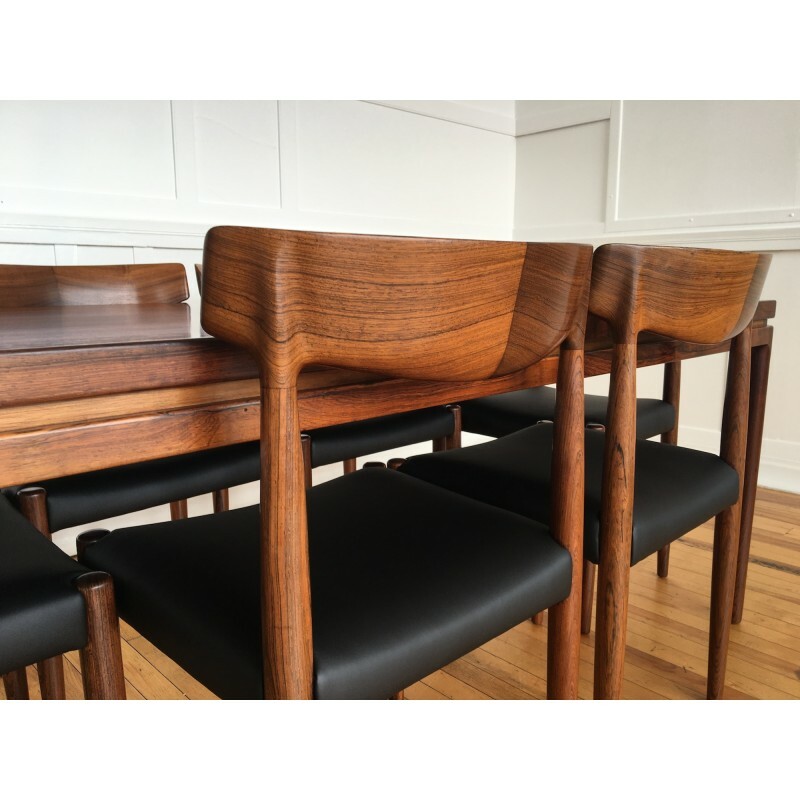 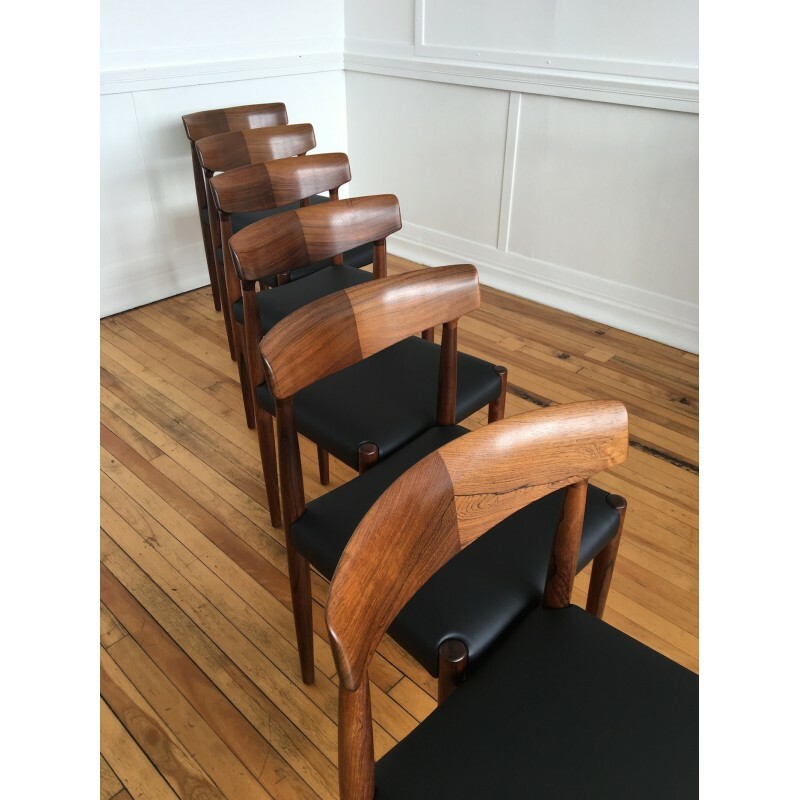 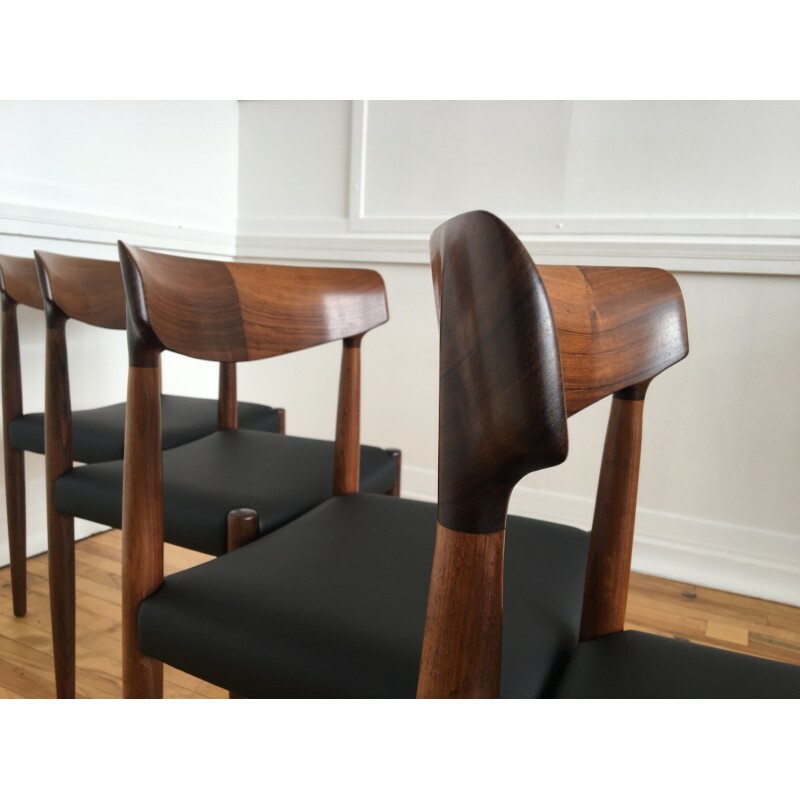 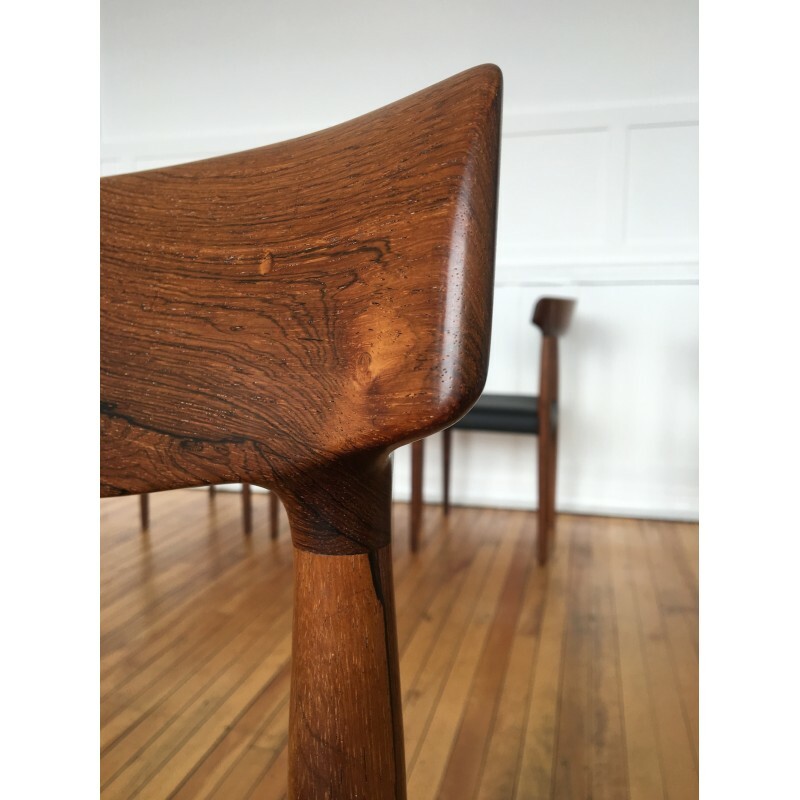 A fantastic set of six model 343 dining chairs designed by Knud Faerch for Slagelse Mobelvaerk, circa 1960's. 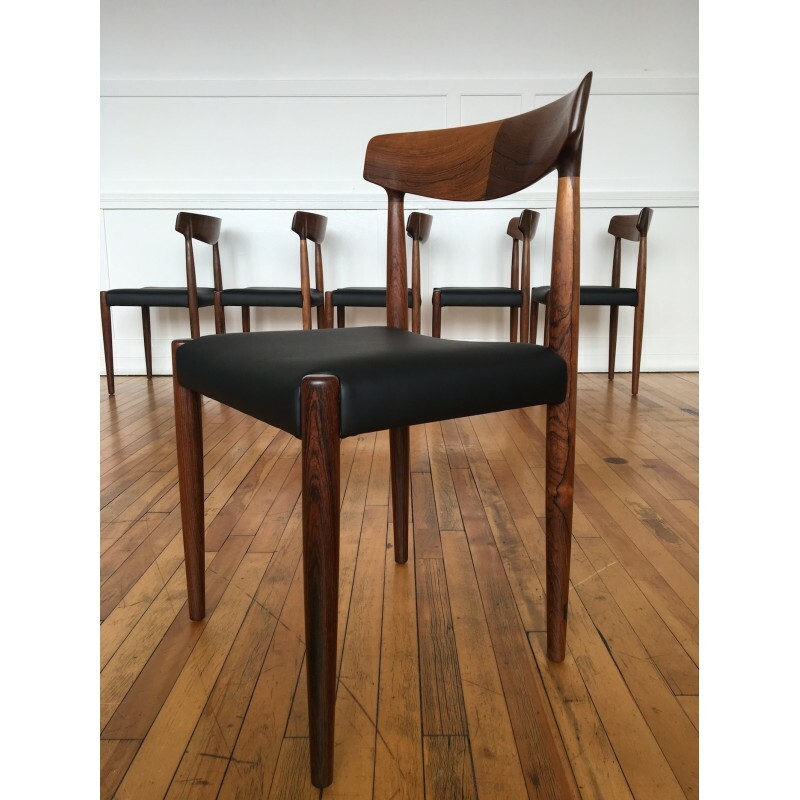 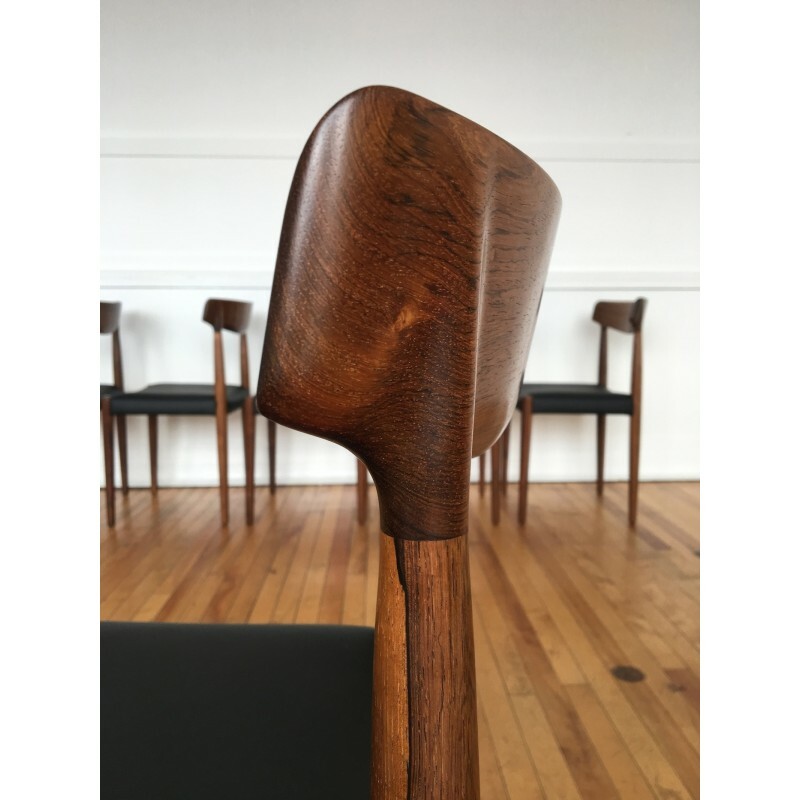 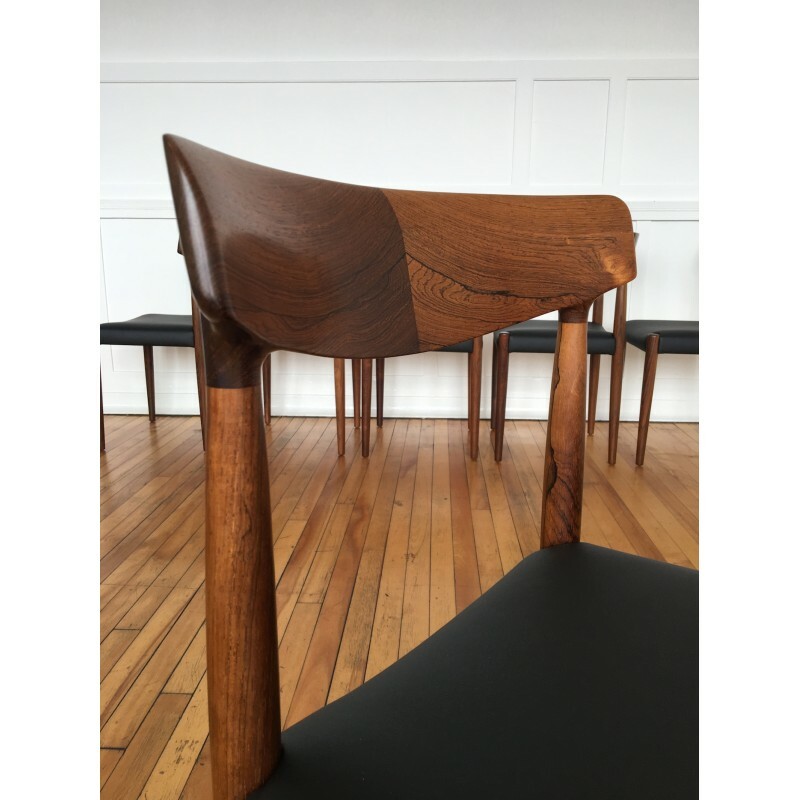 The chair frames are made from solid rosewood and are in excellent condition. 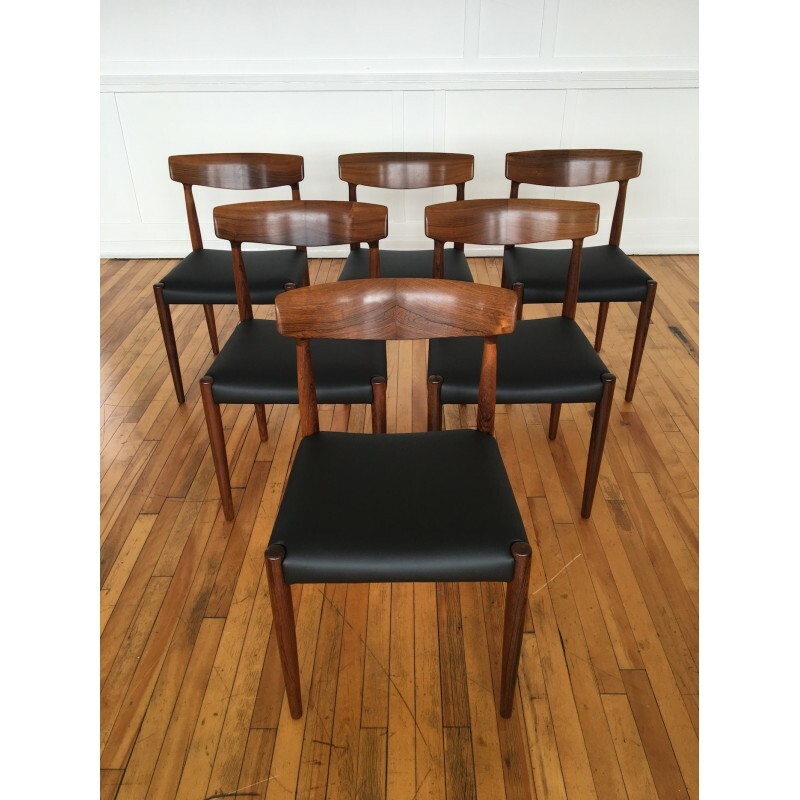 The seats have been fully stripped and reupholstered in quality Scottish black leather. 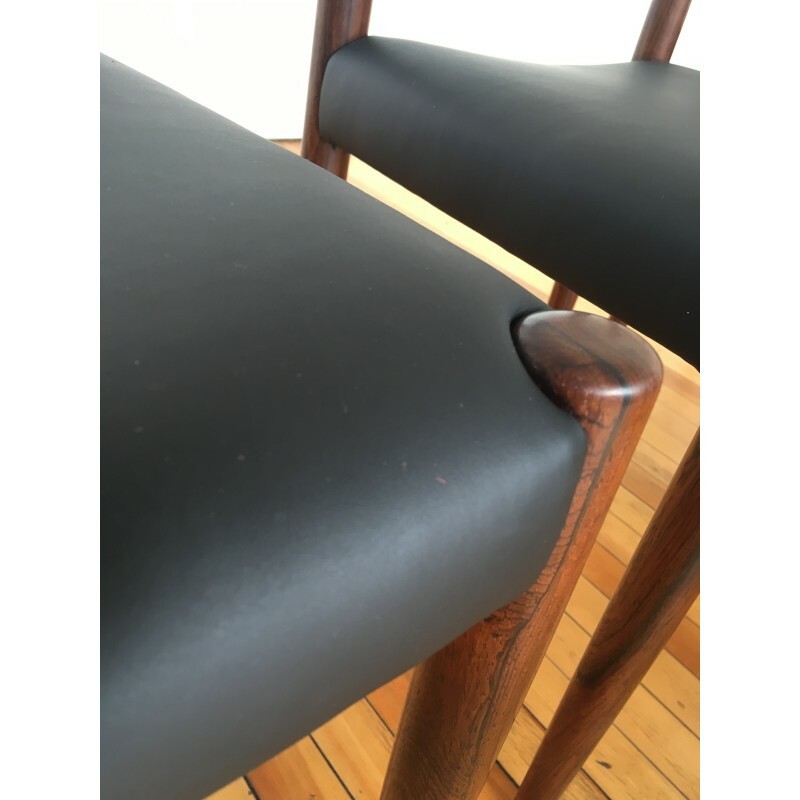 A sample of the leather can be provided upon request. 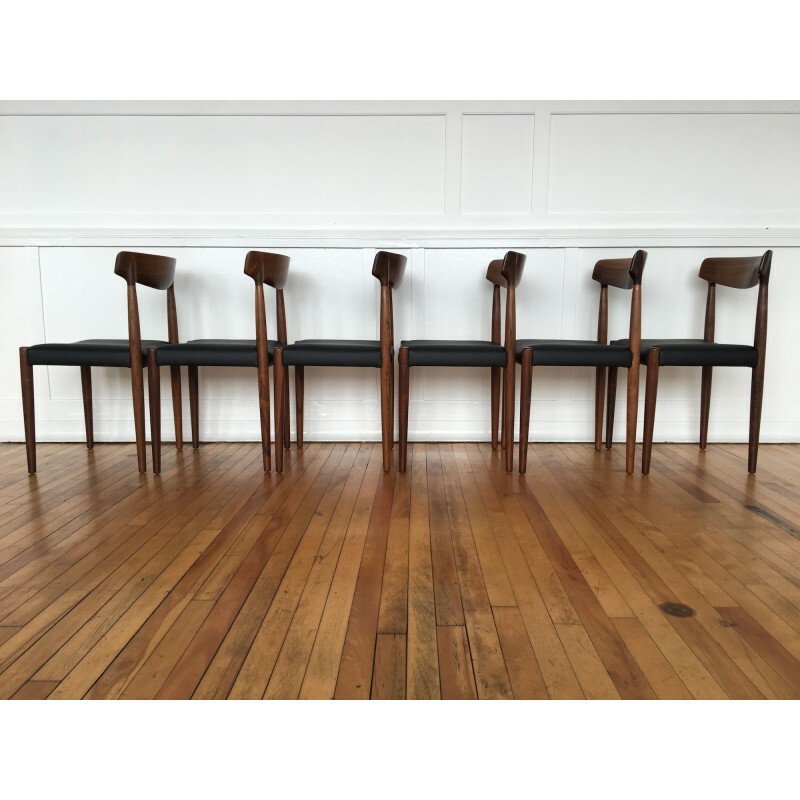 As with all our upholstered items, the chairs now comply with the UK Furniture and Furnishings Fire Safety Regulations. 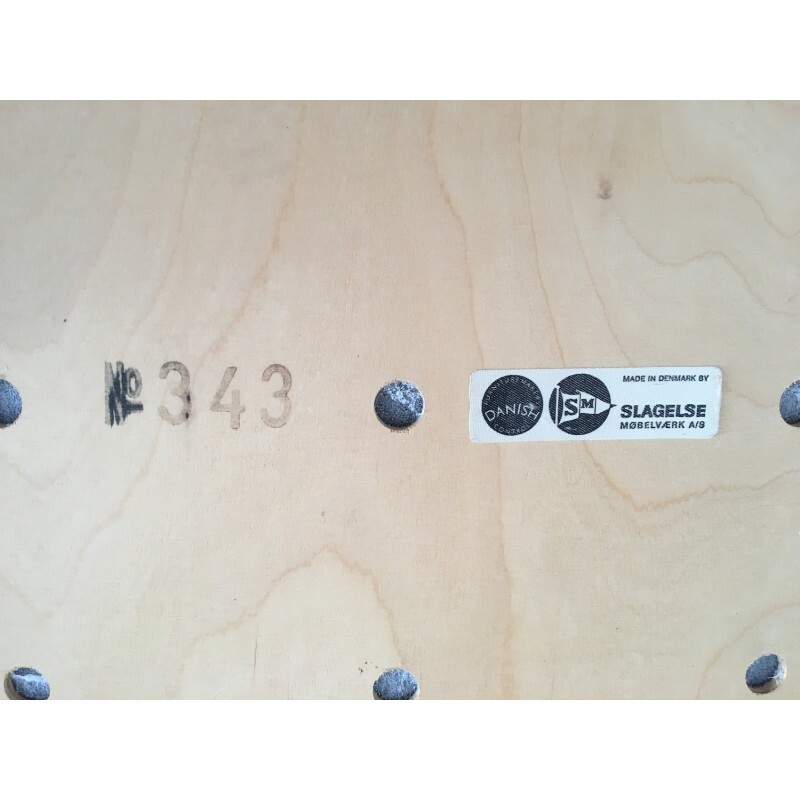 Upon completion of the sale, we will also provide a photo of the stripped frame to evidence the work undertaken.